The HP Pavilion 300 is a tiny powerhouse with great computing power for a smooth media playback. 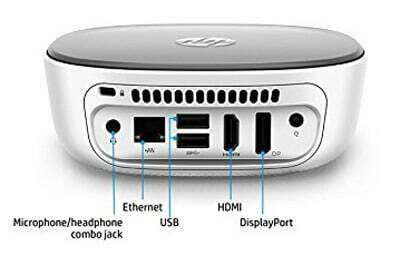 In this HP Pavilion 300 review we noticed that this device runs Windows, which is great whether you want to use it as a server or a media player. You can also install Windows apps on it, such as Freetelly for Windows, and improve your content options. I would recommend using it as a server, because it is too expensive to be only used as a player. In fact it can be used for many more things, including casual gaming. 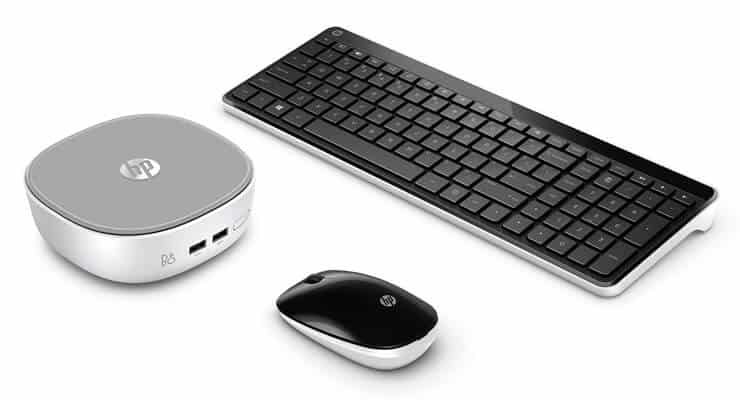 Since this HP Windows Mini PC includes keyboard and mouse, you will not need a wireless HTPC keyboard. This device brings a good amount of RAM, but you can expand it as well, to make its specs even better and have a better performance. A definite downside to this device, the price is not really geared towards people on a budget. 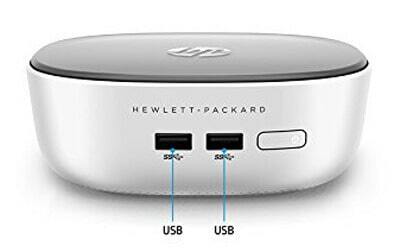 Having so many options to choose from, it seems almost like this HP Windows Mini PC would not be worth the investment. This feeling goes away though, once we have a look at the specs of this tiny monster. A small size, great specs and low power consumption make the HP Pavilion 300 a great device to perform as media player or home server. Wireless: Integrated Bluetooth 4.0 and Wireless LAN 802.11b/g/n featuring 24GHz 1×1 technology. Video graphics: Intel HD Graphics 4400. Up to 4203MB Total Available Graphics Memory as allocated by Windows 10. HP Pavilion 300 Review: would you recommend it? 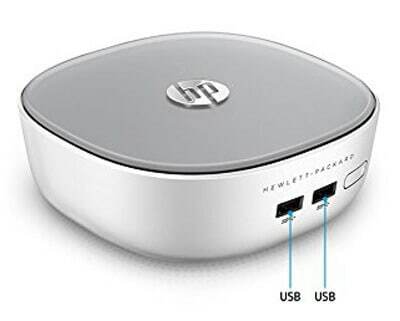 Great connectivity, with 4 USB ports, as well as HDMI and DisplayPort, make the HP Pavilion 300 a great option. The HP Pavilion 300 is a device with insane capabilities which will let you stream and watch lots of content with a great quality and a smooth performance. Unfortunately, its price tag is on par with what it can do, and this device is, therefore, too expensive to use as a Windows streamer. If you want a home server, consider buying this device, though. Its hardware specs make for a great server option out of the box. If you are interested in other high-end devices, take a look at the NVIDIA SHIELD TV, widely regarded as the best Android media player. If you want a cheaper Windows device, the Lenovo Ideacentre 300 Media Stick might be a better option for your needs. Choose your next hardware device with our help, reading our reviews!